The Way to Keep in Touch. I got a new laptop, and was going through the process of installing the git client for windows on it. I am confronted with amusing license agreement. Figure 1 shows this interesting license agreement dialog. it has a numbered list starting from 0. Below is the actual partial text of the license agreement. 0.This License applies to any program or other work which contains a notice placed by the copyright holder saying it may be distributed under the terms of this General Public License. 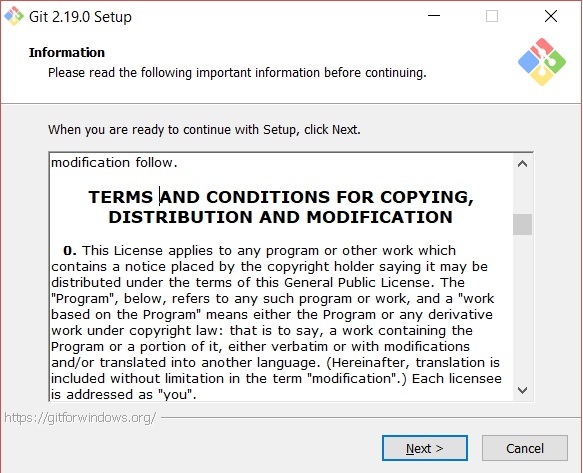 The "Program", below, refers to any such program or work, and a "work based on the Program" means either the Program or any derivative work under copyright law: that is to say, a work containing the Program or a portion of it, either verbatim or with modifications and/or translated into another language. (Hereinafter, translation is included without limitation in the term "modification".) Each licensee is addressed as "you". We developers know that enumeration starts from 0 and not from 1. But of course everybody else disagrees. Single Page Applications should be designed differently.